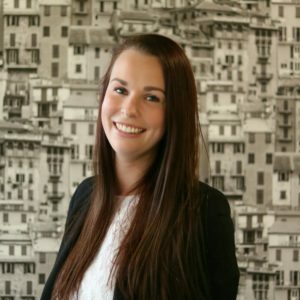 Vodatent is a young and small organisation that is focused upon family holidays on a campsite. 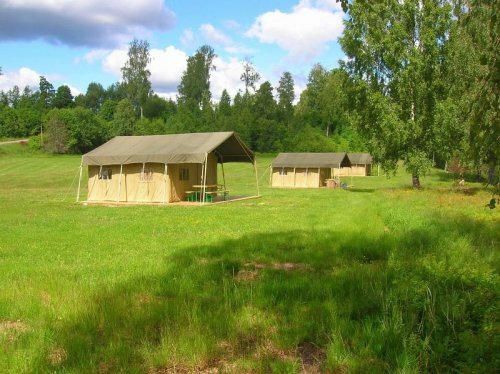 They have several Safaritents on campsites in The Netherlands, Belgium, Germany, France, Italy and the Czech Republic. All these campsites have a natural environment. Besides they are suitable for children, hospitable and affordable. On these campsites the customer is king. 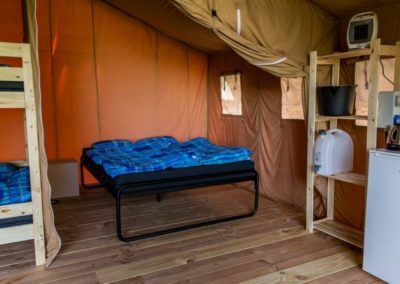 The Safaritents from Vodatent are designed to house a maximum of six people. 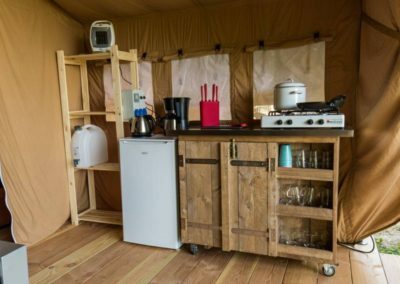 Within the tents you will find a complete interior, including a comfortable living area and a kitchen on wheels. This means that, if the weather is suitable, you can roll the kitchen outside and prepare you dinner on the terrace. Due to the awning it is possible to sit outside even when the weather isn’t as spotless. 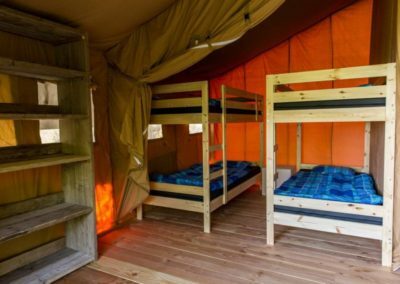 Inside the tent there are two sleeping areas: one with a comfortable double bed, while the other has two bunk beds. Pillows and blankets are included in the inventory. 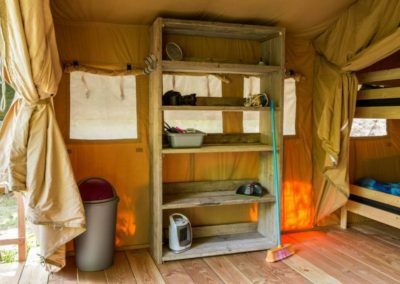 The glamping accommodations of Vodatent do not have their own toilet and shower facilities, except for the tents on Holiday Park “Het Timmerholt” and campsite “De Rammelbeek”. All Safaritents do have electricity, light and a small heater.